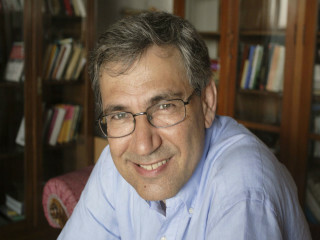 Nobel Prize-winning novelist Orhan Pamuk visits Houston in support of his new work, A Strangeness in My Mind. Best known for Snow and The Museum of Innocence, Pamuk is routinely considered one of the world’s greatest living novelists—especially since winning the Nobel Prize for Literature in 2006. More than just a storyteller, Pamuk is a fearless chronicler of his home country, Turkey. A Strangeness in My Mind is his most ambitious novel yet. Set in Istanbul, it tells the story of a young street vendor in search of a better life. Complex yet approachable, epic yet intimate, A Strangeness in My Mind is poised to become one of Pamuk’s most enduring works. Pamuk will speak and sign books at the event, a co-presentation of Brazos Bookstore and the World Affairs Council of Houston. Each ticket includes a copy of the book.